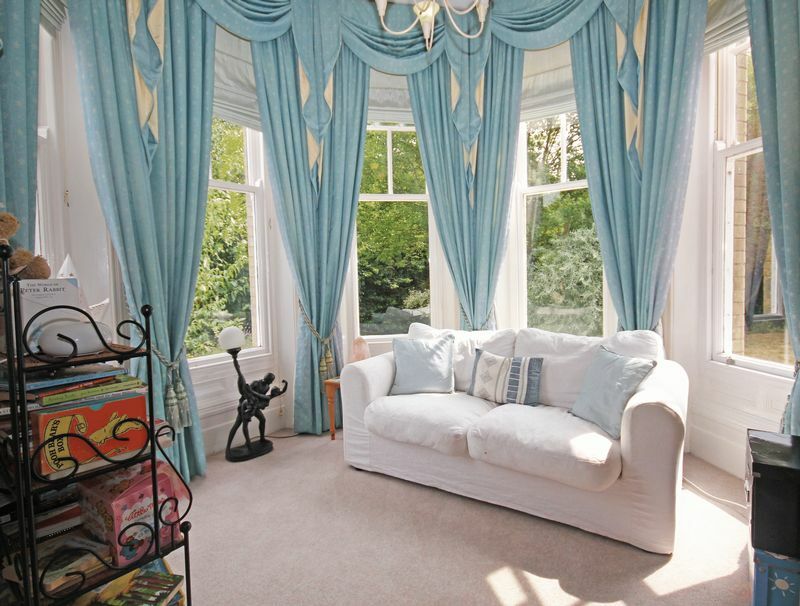 A ground floor apartment with private garden forming part of a beautiful country house conversion. 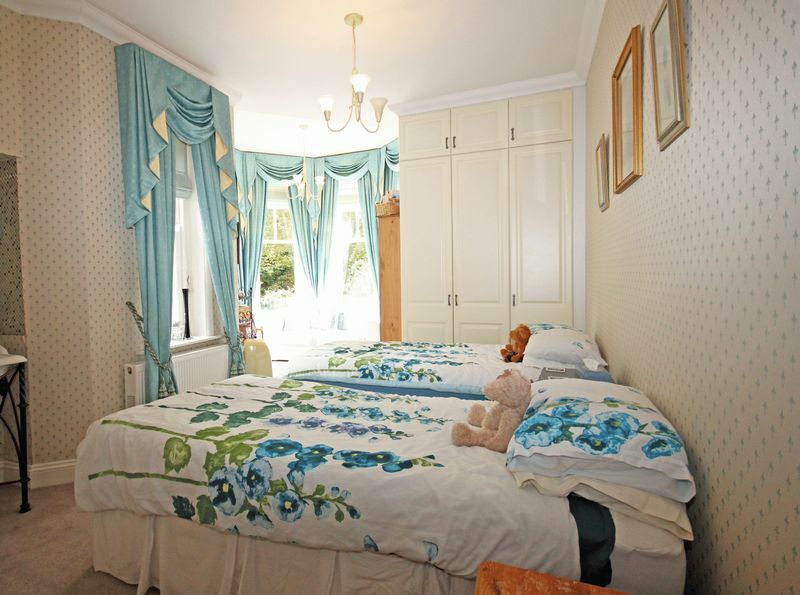 Entrance hall, sitting/dining room, fitted kitchen, master bedroom with en-suite shower room, guest bedroom, shower room. Generous and attractive garden. Allocated parking. EPC band E.
Outgoings: We understand the current annual charge is £1800 including a contribution towards the sinking fund. There is an option to pay an additional £100 per annum for an additional car parking space. Gas & water is separately metered. Services: Mains water, electricity and drainage. LPG gas fired central heating. Council tax: Band D - Amount payable : 2018/2019: £1699.64 To Locate :From our office in Bridge Street, proceed into the High Street and turn left into Provost Street and continue in the direction of Alderholt. Upon leaving the town, ascend Bowerwood Hill for a short distance whereupon Highfield Hall will be found on the left hand side immediately before the junction of Ashford and Midgham Roads. Location: Highfield Hall enjoys a delightful rural location approximately a mile or so west of the Avon town of Fordingbridge and is approached through an impressive gated entrance the converted country house stands in delightful parkland surroundings of approximately 3.75 acres with many mature indigenous trees. 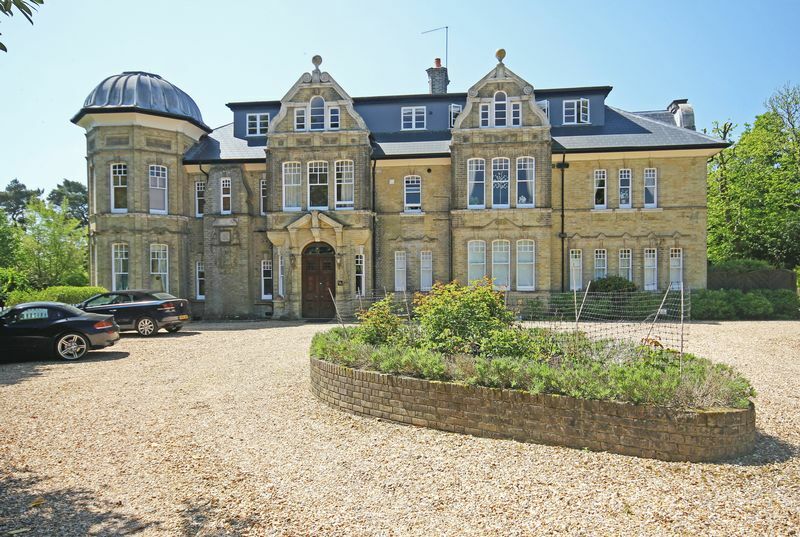 Highfield Hall is accessed from the Fordingbridge/Alderholt Road (B3078) through a pillared entrance with remote electrically operated wrought iron gates with intercom phone. A sweeping gravelled drive flanked by lawns with mature trees leads up to the building. There are allocated parking spaces for each apartment together with a generous number of visitor spaces. 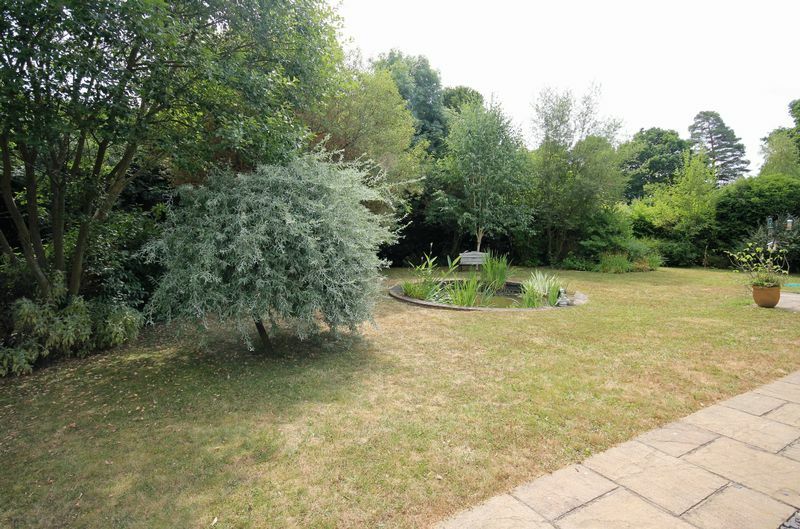 The extensive gardens & communal grounds extend to about 3.75 acres & are maintained within the annual maintenance charge. Nearby Fordingbridge provides excellent local facilities including a variety of specialist shops, a building society, public library and churches of various denominations. There is an excellent medical centre together with infant, junior and secondary schools. The Town, which lies on the banks of the River Avon, is within a short distance of the New Forest Park boundary, provides easy access to a number of important centres. Salisbury is some 11 miles to the north (where there is a mainline rail station to London Waterloo ­ approximately 100 minutes), Ringwood and Bournemouth are some 6 and 18 miles respectively to the south, and Jct 1 of the M27 can be reached at Cadnam, approximately 10 miles to the south east via the B3078. 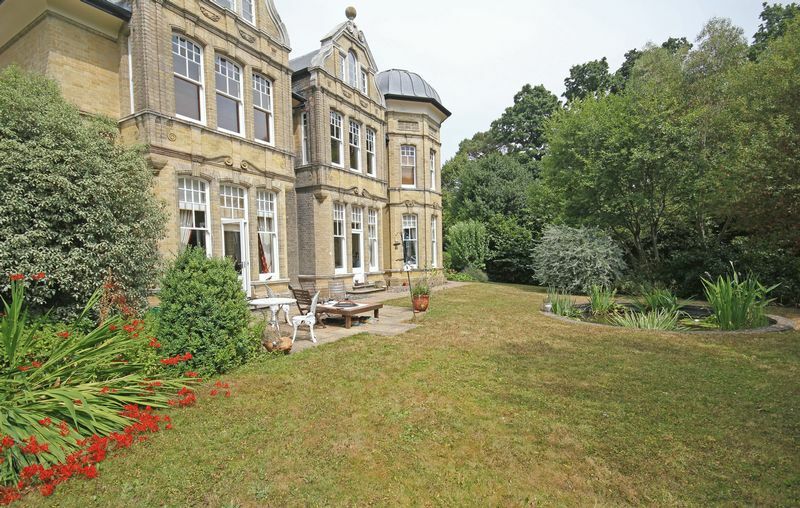 The property: Highfield Hall is a fine example of a Victorian residence built by Josiah Reynolds Neave in 1866, a member of a local Quaker family who did much to expand the family milling business, one of the major employers in Fordingbridge which benefited greatly from the arrival of the railway in the mid­1860s. Highfield Hall later became a cottage hospital in 1948 and then a private nursing home which was sold and converted into apartments in 2002. The building underwent a major refurbishment in 2016 with the roofs being replaced at that time. 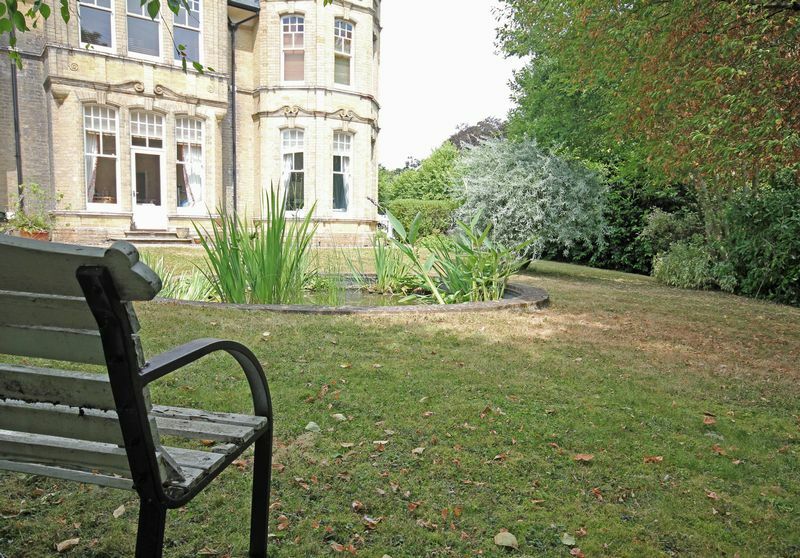 Number 1 is located on the ground floor with access from the main entrance hall and from the private garden. 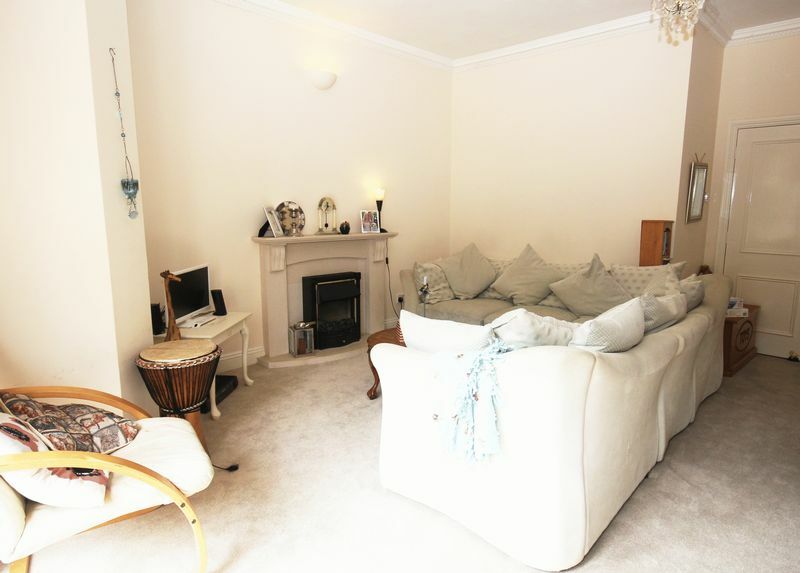 This attractive apartment with high ceilings has well arranged accommodation as follows: Hall: Entry phone. Radiator. Large storage cupboard. 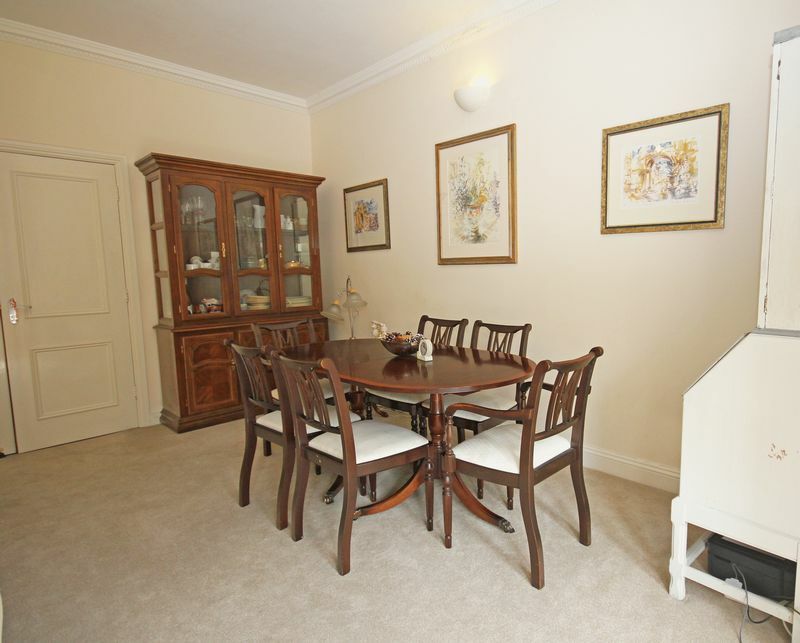 Sitting/dining room: 18' 0'' x 18' 0'' (5.48m x 5.48m) With large bay window and a door to the garden. Stone fireplace with electric fire. Radiator. 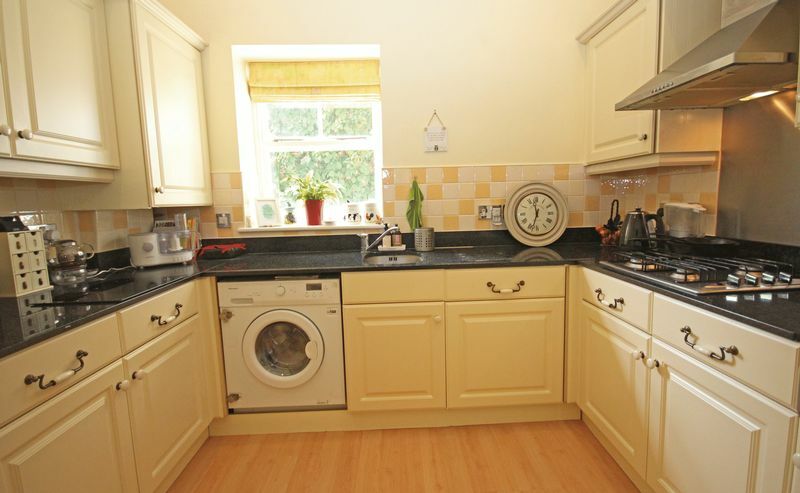 Kitchen: 7' 5'' x 9' 10'' (2.26m x 2.99m) A range of base cupboards, drawers and wall units with granite work surfaces and inset stainless steel sink. Integrated fridge, freezer, washer/dryer and dishwasher. Gas hob with extractor over. Electric double oven. Gas fired boiler. 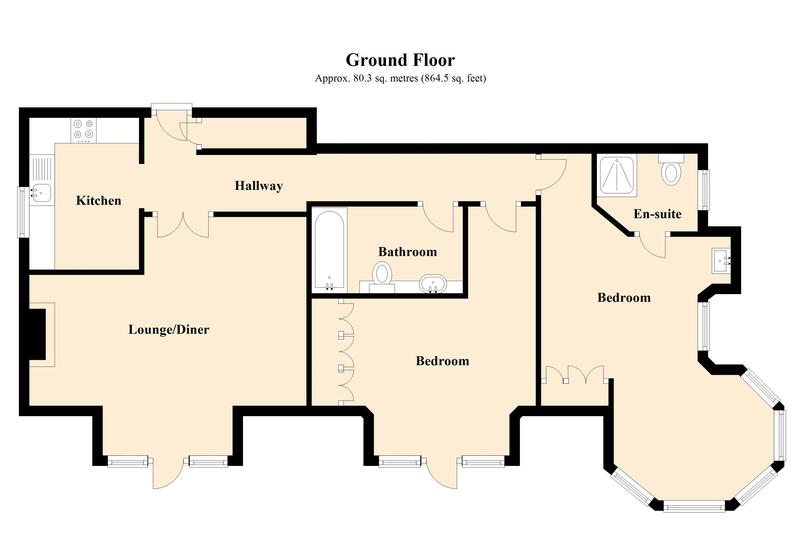 Master bedroom: 10' 11'' x 13' 2'' (3.32m x 4.01m) excluding turret With freestanding washbasin. 2 Radiators. 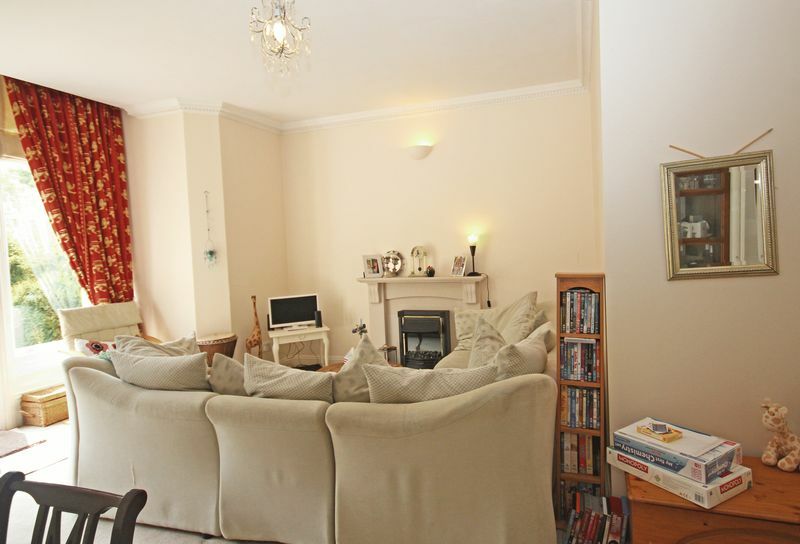 Interesting ‘Turret’ feature providing a cosy seating area with 5 windows overlooking the garden. En-suite shower room: Fully tiled with shower enclosure. WC. Radiator. 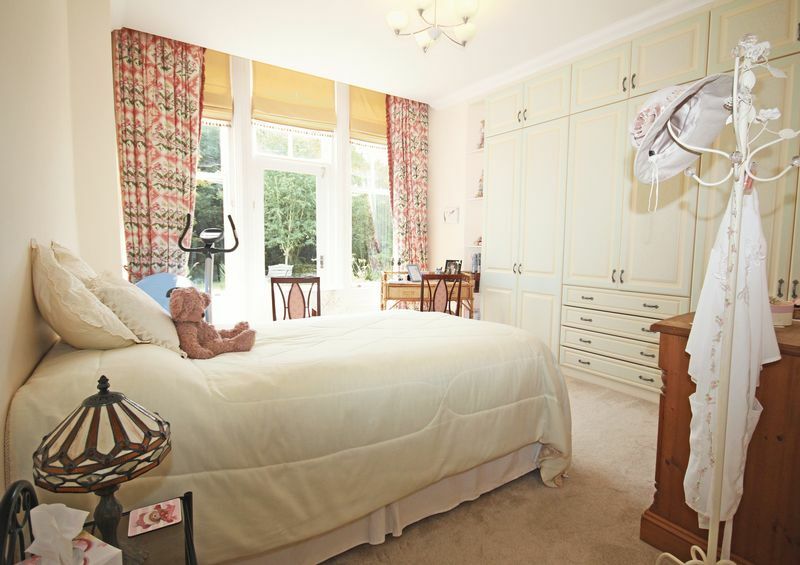 Bedroom 2: 11' 0'' x 13' 10'' (3.35m x 4.21m) Fitted with an extensive range of wardrobes. Door to garden. Radiator. Shower room: Fully tiled with a sit-in bath and shower over. Vanity unit with wash basin. WC. Towel rail. Outside: Highfield Hall is approached through electric gates leading to a sweeping driveway which provides allocated and visitor parking for the 9 apartments. 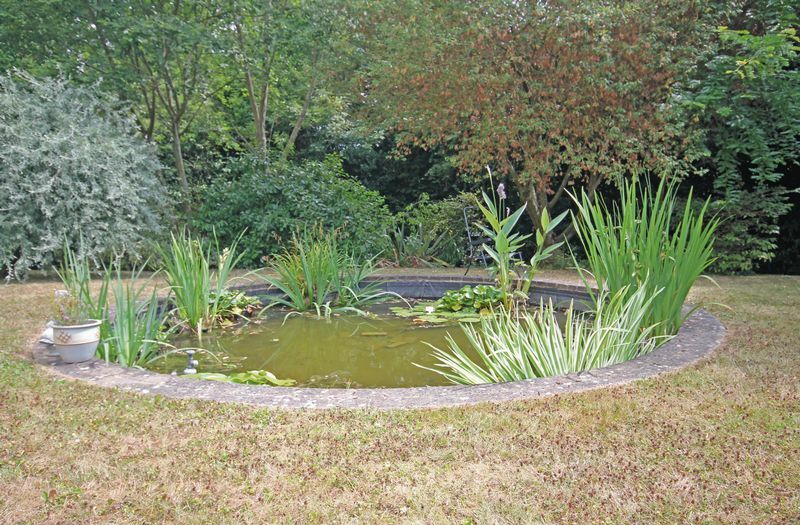 Number 1 has an attractive private garden with a feature circular pond, a patio adjoining the sitting room and a shed.